Mr. Durkin has been named a top-tier attorney by U.S. News-Best Lawyers in the areas of personal injury litigation, aviation law and product liability since 2011. Most recently he was named the Lawyer of the Year in 2017 in the area of Plaintiffs’ Product Liability Litigation. These accolades are based on peer reviews and his legal ability, professionalism and integrity. He has also been named an Illinois Super Lawyer and a Leading Lawyer since 2003, its inception in the state. Mr. Durkin has received multi-million dollar settlements or verdicts in well over one hundred cases. Some of these verdicts have been among the largest verdicts recorded in Illinois. The most recent of these was a $22.75 million wrongful death verdict in 2016 for a young woman who lost her 31-year old husband in a vehicular crash on I-294. This is the largest wrongful death verdict in Cook County in the last 10 years. Mr. Durkin tried the case of a mother and her two children who were involved in a devastating truck-car collision on Interstate 90 near Rockford in 1999. After a month-long trial in the Cook County Circuit Court, Mr. Durkin received a $38.3 million verdict on behalf of the family in March 2004. The verdict was the largest in the country in 2004 involving a motor vehicle crash and was featured as one of the Top 100 Verdicts in the National Law Journal in 2005. In May 2012, he was part of the trial team that obtained a $112 million verdict for two men who were injured in a grain bin explosion at a ConAgra mill in southern Illinois. For this case, Durkin received a Trial Lawyer Excellence Award by the Jury Verdict Reporter of the Law Bulletin Publishing company. In February of 2013, he obtained a $16 million jury verdict in 2013 in Carroll County on behalf of the families of a fourteen-year-old and nineteen-year-old who were killed when entrapped in a grain bin, a record wrongful death verdict for a minor in Illinois outside of Cook County. The highest recorded verdict in that county previously was under $250,000. For this case, Mr. Durkin received a Trial Lawyer Excellence Award by the Jury Verdict Reporter of the Law Bulletin Publishing Company. Mr. Durkin also tried a tragic automobile accident case in South Dakota on behalf of a man who suffered permanent brain damage. The case resulted in that state’s largest personal injury verdict, $7.5 million. Following a two-week trial, he and Bob Clifford obtained a $24 million verdict on behalf of a small boy hit by a speeding CTA bus in a school zone. He obtained a $9 million verdict on behalf of a man who lost an arm and his spleen in a rail tragedy following a three-week trial in federal court in central Illinois. Mr. Durkin also obtained a $14.2 million verdict on behalf of a Boy Scout who was permanently brain damaged following a car accident. Mr. Durkin’s trial accomplishments include serving as co-counsel in the highly publicized case of the internationally acclaimed violinist, Rachel Barton, who was severely injured when a Chicago commuter train dragged her for more than 300 feet. After taking dozens of depositions and a pain-staking investigation for more than four years, the month-long trial resulted in a $35 million verdict. Mr. Durkin handled the highly publicized $10 million settlement on behalf of a suburban police officer who was struck by a speeding hearse that ran a red light while the officer was on routine patrol. It made headlines because of the so-called “black box” that was discovered in the hearse that recorded the speed and contradicted the driver’s story to police. Mr. Durkin also represented several men who were severely burned in a power plant explosion in Hammond, Indiana, recovering multi-million dollar settlements on behalf of the injured workers. Mr. Durkin led the plaintiffs in the litigation involving the tragic high-rise fire in the Cook County Administration Building that killed six people and injured sixteen others. This resulted in a $100 million settlement. Mr. Durkin was also co-lead counsel in the Amtrak crash that occurred in Bourbonnais, Illinois, killing 11 people and injuring hundreds more. In 2003, Mr. Durkin was instrumental in settling a series of lawsuits stemming from the crash of Alaska Airlines 261. This crash killed 88 people when it plunged into the Pacific Ocean in January 2000. Served as Co-Chair of the Plaintiff’s Executive Committee for the litigation, he helped to recover more than $40 million in settlements on behalf of seven families following three years of depositions. Critically, Mr. Durkin exposed problems with the aircraft’s horizontal stabilizer. As a result, Boeing admitted liability despite the National Transportation Safety Board giving the corporate giant a virtual pass in its determination of the cause of the crash. Mr. Durkin served on the Steering Committee of the Singapore Air crash Flight 006. Mr. Durkin served on the Steering Committee for the crash of American Airlines Flight 587 that crashed in Queens, New York. Mr. Durkin served as Lead Plaintiff’s Co-Counsel in federal court where a $110 million settlement was negotiated for a number of families in the American Airlines Flight 4184 crash in Roselawn, Indiana. Mr. Durkin represented the family of Joshua Woods, the six-year-old boy who was killed when a Southwest jetliner crashed into his family’s car after skidding off the runway at Midway Airport in December 2005. Mr. Durkin represented several families in the August 27, 2006, tragedy involving a Comair plane in Lexington, Kentucky. Mr. Durkin represented several families in the February 12, 2009, tragedy involving the crash of a Colgan Air commuter aircraft near Buffalo, New York. This case resulted in a successful settlement for the victims’ families. With his experience and success as an aviation accident attorney, Mr. Durkin served for four years as the Co-Chair of the Aviation Committee for the 75,000-member American Bar Association’s Section of Litigation. In that position, he chaired an annual program that brings together the best and the brightest to discuss cutting-edge issues in aviation litigation. He often still serves as a speaker for that annual program. Mr. Durkin served for two years as Co-Chair of the Mass Torts Litigation Committee and has served as Vice-Chair of the Aviation and Space Law Committee of the Tort Trial and Insurance Practice Section of the American Bar Association. 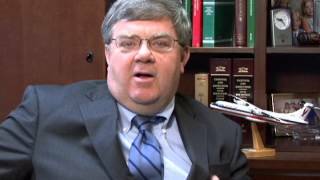 In addition to his work with commercial aviation litigation, Mr. Durkin has also represented victims of many small plane crashes. For example, he handled the case involving the crash of Bob Collins, WGN radio’s most popular disc jockey, who was killed when a small plane crashed into him as he was landing in the Chicago area. In 2007, the judge in that case entered an award for the maximum coverage by the insurance, nearly $1 million. Mr. Durkin also received a $4.1 million settlement in October 2001 on behalf of a photographer killed in a helicopter crash in northwest suburban Chicago. 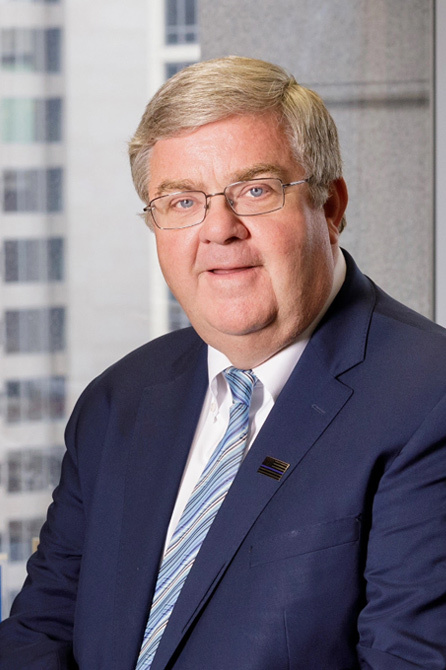 After he graduated from DePaul University College of Law, Mr. Durkin served as an Assistant State’s Attorney in the Cook County State’s Attorney’s Office in Chicago for eight years from 1980 to 1988. Since then, he has focused on civil litigation at Clifford Law Offices. In 2007, Mr. Durkin was bestowed the “Outstanding Contributions to the Legal Profession Award” by the International Phi Alpha Delta Law Fraternity (PAD) for his tireless work in promoting the legal profession in Chicago and in recognition for his public service to the people of Illinois. In 2009, he was elected a Fellow in the American College of Trial Lawyers as well as being named to the Irish Legal 100, an honor that recognizes the top lawyers of Irish descent throughout the country. 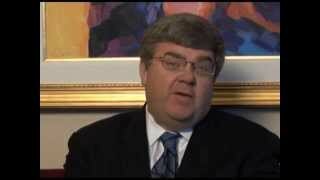 In 2010, Mr. Durkin also was inducted as a Fellow in the International Academy of Trial Lawyers. He gives back to the community in many ways including serving on the Board of Chicago Police Memorial Foundation, which helps families of fallen and injured Chicago police officers. Illinois Trial Lawyers Association, “The Value of Focus Groups,” March 28, 2015. Illinois Trial Lawyers Association, “Ethics of Client Communications,” May 2, 2014. American Bar Association, “Improper Statements and Conduct in Opening and Closing Arguments,” April 25, 2013. American Bar Association, Section of Litigation, “Disaster in the Alps? Fight Over Forum,” June 3, 2010. American Bar Association, Annual Meeting, “Objections,” July 30, 2009. Law Bulletin Publishing Company, “Litigation Skills III Conference,” April 23, 2009. Illinois Trial Lawyers Association, Transportation Torts, Planes,” February 16, 2009. Illinois Trial Lawyers Association, Update and Review Seminar, “Fault Allocation Under Section 2-1117/Excluding Settling Defendants From Verdict Form,” October 13, 2008. Sun-Sentinel covering Broward and Palm Beach counties, Florida, “Expert: Pilots of Doomed Plane May Have Flown Too Low to Get Glimpse of Runway,” Jan. 29, 2017. Bloomberg News, “Germanwings Crash Cause Means Recoveries ‘Uncapped’,” March 27, 2015. Wall Street Journal, “Liability of Germanwings Crash May Still Rest with Airline, Insurer; Co-pilot’s secretary wouldn’t necessarily exonerate Lufthansa, lawyers say,” March 30, 2015.
International Business Times, “Germanwings: How Much Will the Families of Flight 9525 Receive in Crash Settlements?” March 30, 2015. SuperLawyers, “Kevin Durkin cushions the blow for Accident victims and their families,” February 2001. Litigation Magazine, ABA, Journal of the Section of Litigation, “Battling for Big Bucks,” Fall, 1996.